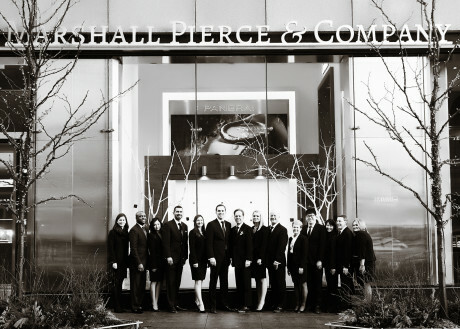 Marshall Pierce & Company is Celebrating 90 Year as Chicago’s Leading Retailer of Fine Swiss Watches, Jewelry & Diamond Engagement Rings & Wedding Bands. Under the leadership of the Bern Family Marshall Pierce & Company Delivers Variety, Quality, Value & Service Unsurpassed in Chicago. Jerry Bern, Owner of Marshall Pierce & Company, is a fifth generation jeweler. His knowledge of jewelry, & the jewelry industry, is unparalleled. Jerry has been serving his clients with the highest level of professionalism for over 35 years. He takes pride in having created a family-like atmosphere at Marshall Pierce & Company and cherishes those that make it possible. Jerry is a proud member of the Economic Club of Chicago & serves as a Board Member of Catholic Charities of Chicago. 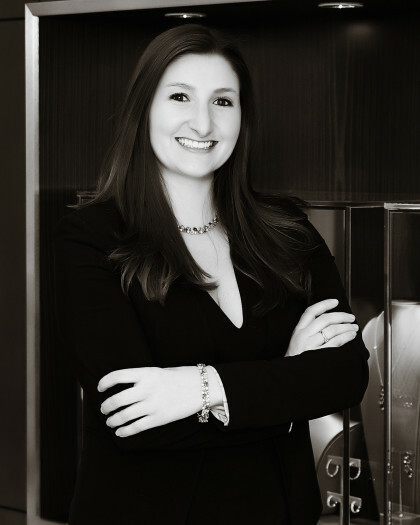 Evan Bern joined Marshall Pierce & Company in 2009 as the sixth consecutive generation of the Bern family in the jewelry industry. Evan graduated from John Carroll University, in 2008. Soon after, he acquired his Graduate Gemology Degree from GIA, Carlsbad. 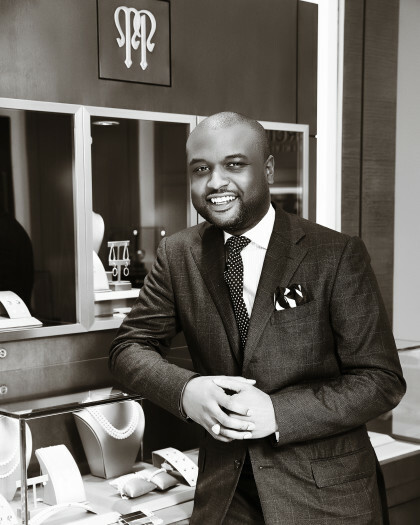 He served as Board President of the GIA Alumni Greater Chicagoland Chapter (2010-2011) and currently serves on The 100 Club of Chicago JR Board. Evan is also a proud member of the Economic Club of Chicago. Derrick Broadway has been a student of horology for 12 years. His love affair for watches began in the third grade when he received his first calculator watch. He went from a C student to a B student in just two days. Needless to say, who would not love watches after a story like that. He found that watches were not only a great way to get on the honor roll, but a way of life in adulthood. Derrick will be eternally grateful for his Casio CA53W-1. 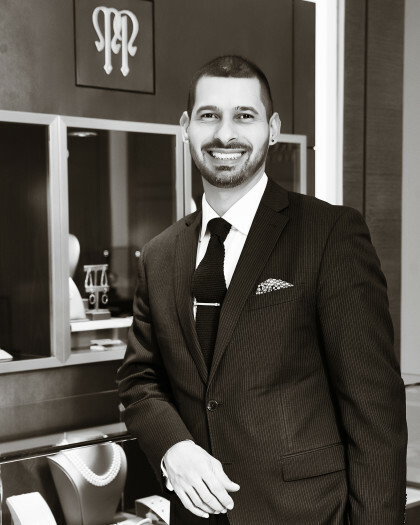 Saul Hernandez comes with over 15 years of experience in the Fine Timepiece industry. First a collector, Saul’s passion for Timepieces grew into a career. Now a specialist at Marshall Pierce, Saul believes in assisting all of his clients with the highest level of knowledge and service. 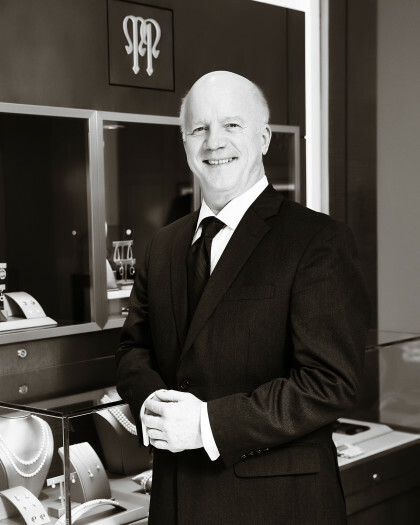 Jim brings five generations and 33 years of experience in all facets of the jewelry industry. Since getting his first eye loupe at the age of six he new that he would be carrying on the family tradition of working with his father in the jewelry business. Jim has always had an affinity for the beauty of an exceptionally well-made timepiece whether it is simple or complicated. He conveys his passion for quality and value to all of his clients needs. 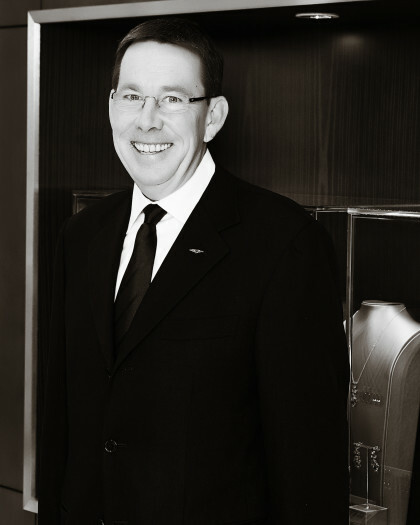 Ken Lewin is a third generation jeweler. He joined Marshall Pierce & Company in 2009 after serving private clients for nearly 40 years. 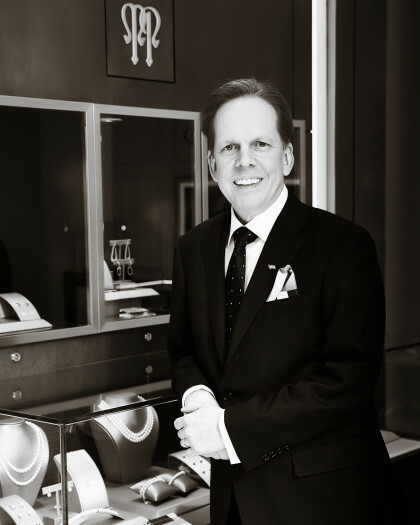 Ken has extensive experience in all aspects of fine jewelry, as well as gem and semi-precious stones. 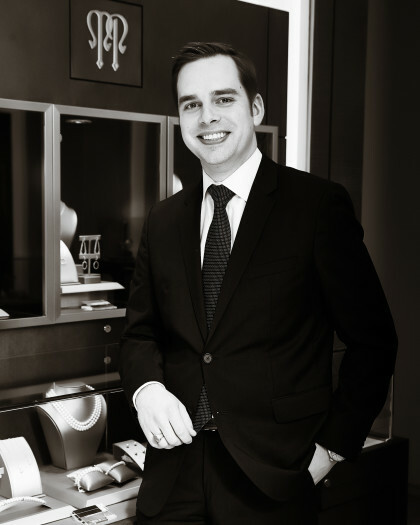 Since joining Marshall Pierce & Company Ken has expanded his knowledge of fine Swiss watches, even joining the Mont Blanc family as a brand Ambassador. Natalie Wray joined Marshall Pierce & Company in 2011. Natalie cultivated a passion for fine jewelry after landing her first job in the industry at age 17 and today serves as the Merchandise Manager. A graduate of DePaul University with a degree in Entrepreneurship and Marketing Sales Leadership, Natalie is passionate about Chicago businesses and is proud to be part of a long-standing tradition. Donna Mrowca joined Marshall Pierce & Company in 1997. 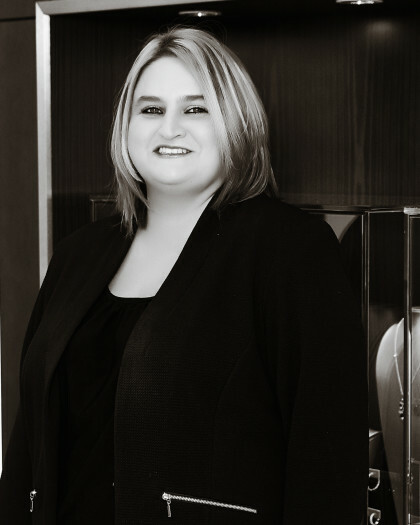 Donna’s extensive experience and knowledge has proven invaluable as she serves as the Watch & Fine Jewelry Repair Specialist. She is fluent in Polish and is the longest standing Marshall Pierce & Company employee.